Whether from vaccines laced with mercury or from diet or pesticide use, autism today is vastly on the rise in children. Disturbing figures attributed one in 68 children as having an autism spectrum disorder, according to the CDC in 2014. In 2008 it was 1 in 88, and in 2000, the figure was 1 in 150 for those born in 1992. The CDC still maintains a 2014 figure as current statistics, placing one percent of the population as having autism spectrum disorder, however, publications suggest the figure is now 1 in 50. Last year, a study conducted in Sweden concluded those with an autism spectrum disorder have a life span of “54 years, compared with 70 for matched controls.” Those with ASD tend to also suffer depression, suicidal tendencies and/or seizures ranging from very mild to debilitating. The statistics point to our children today as sicker than they were comparatively a generation ago, noted a Pesticide Action Network North America (PANNA) report in 2012. The worrying trend of our children becoming sicker highlights the need to find the cause, particularly if it is environmental. Research suggests autism goes far beyond genetics, but rather, encompasses multiple factors of toxins and pharmaceuticals. In other words, in less than 10 years, every second child born will have some form of autism. 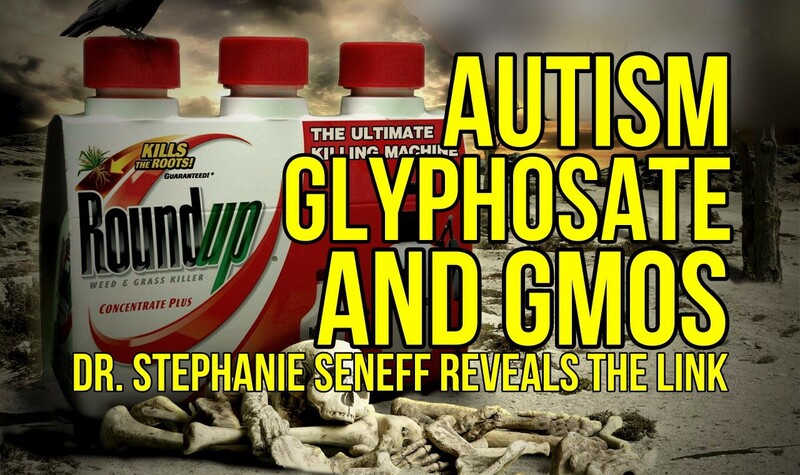 Dr. Seneff has also published a paper outlining different disorders such as endocrine disruption, cancer, dementia, as well as autism as being linked to the use of Monsanto’s glyphosate, the “probably carcinogenic” herbicide according to the WHO. The answer is: Yes. The second answer according to the MIT researcher is glyphosate. Glyphosate use, according to Dr. Seneff, “rose 1500% from 1994 to 2005” when the spike in autism diagnosis was documented. 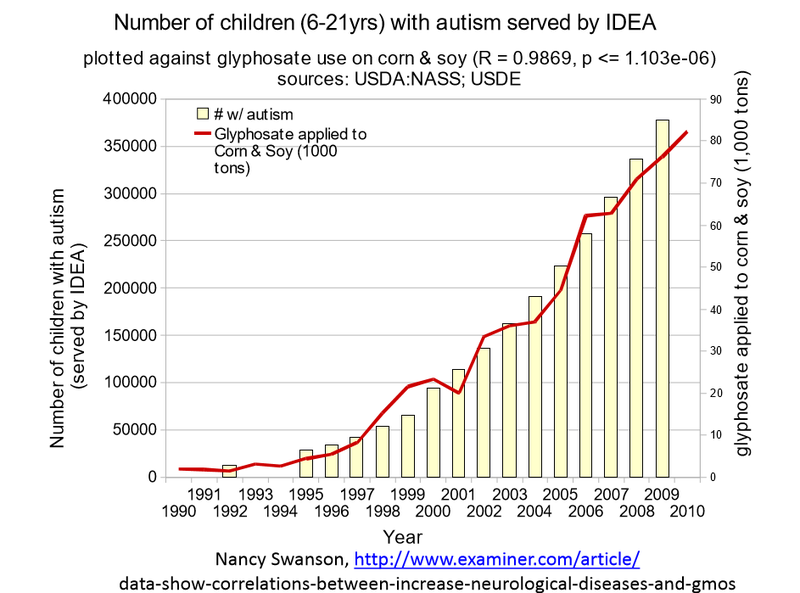 A damning graph shows the specific correlation between glyphosate use and autism diagnosis from 1990 through to 2010. Main toxic effects also point to the comorbidities of autism and glyphosate side effects, including the killing off of gut bacteria; melatonin and serotonin deficiency; low sulfate; vitamin D deficiency and impaired immune function, and low-grade inflammation of the brain. As per the report Dr. Seneff has authored, senile dementia is also documented as rising in correlation with the use of Monsanto’s glyphosate. Despite the evidence, Monsanto continues to claim that glyphosate is safe. Although the correlations that Dr. Seneff have demonstrated are not indicative of glyphosate being the one and only cause, the statistics are damning. Comprehensive scientific research is conducted routinely on the consequences of glyphosate use in agriculture, autism and the environment. While our children continue to get sicker, Monsanto continues their stranglehold on agriculture. Minuscule amounts of solid evidence, as scientists say we have, should be enough to shelve Monsanto’s roundup until facts establish otherwise. The chance of having half of the children born in 2025 onwards as having autism should be enough of a warning to do so. This article (The Link Between Glyphosate and Autism Exposed) is a free and open source. You have permission to republish this article under a Creative Commons license with attribution to Aral Bereux and DNewsHQ. There are many links, some are even medical or even (gasp) hereditary, in nature.